RM Sotheby’s, our official auction partner, is counting down to its next European auction, Villa Erba, held during the Concorso d’Eleganza Villa d’Este weekend, 23 May. Held every two since 2011, this exclusive evening auction takes place at the beautiful Villa Erba on the shores of Lake Como, Italy, just one hour north of Milan. The company’s last Lake Como sale in 2013 realised more than €27 million during two hours of passionate bidding. This year’s auction is set to build on RM’s strong track record in Europe, lifting the hammer on a magnificent roster of 37 blue-chip automobiles and two classic Riva boats. Among highlights, a coveted 1961 Ferrari 250 GT SWB California Spider, chassis no. 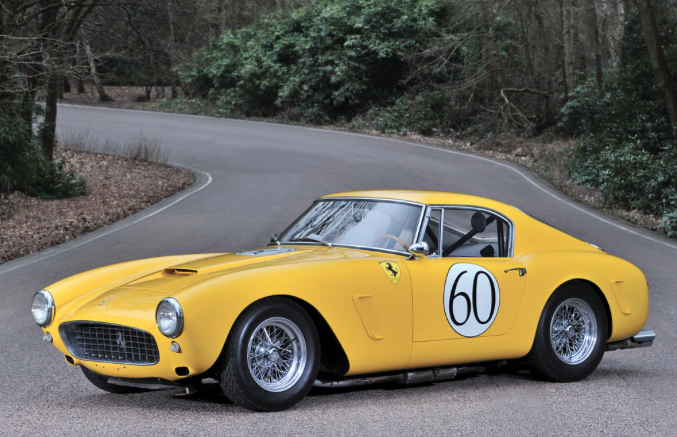 2505 GT, and a striking 1960 Ferrari 250 GT SWB Berlinetta Competizione, chassis no. 1953 GT. Full event details, including the digital catalogue, can be found online at www.rmauctions.com or by calling RM’s London office at +44 (0) 20 7851 7070.